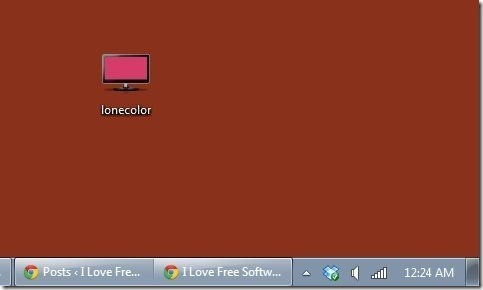 LoneColor is a free software that lets you set desktop background to solid color. You can specify any color, and desktop wallpaper will be set to that color. We have reviewed many software related to wallpapers earlier that let you do all sort of complicated things with desktop wallpapers. We wrote about animated desktop wallpaper, set web page as desktop background, video as desktop wallpaper, wallpaper changers, and much much more. However, what if you don’t want any of this complexity and instead would just prefer a nice solid background color for your desktop? LoneColor is here for your rescue. Although what this software does is quite simple, and frankly, there are many other software out there that do that same. But what attracted me towards it is the way it functions. Let’s see. To use this application, download it from the link given at end of the article. First thing you will notice is the tiny size of the application. It is just 29KB in size! That’s really really small. It downloads as a exe file, but you don’t need to install it. 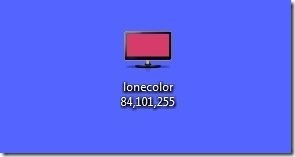 Just double click on the application icon to run it, and it will set desktop background color to a random solid color. 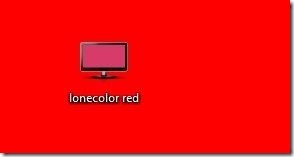 What it if you want to set desktop background to a color of your choice? This freeware lets you do that as well, but what sets it apart is how it does that. 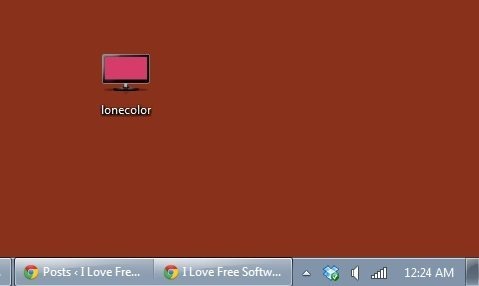 To set any specific color as your desktop background, just add name of the color to filename of LoneColor. 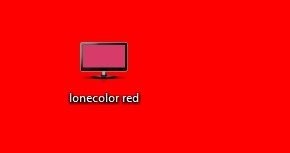 So, if you want to set desktop background to red color, just change filename to “LoneColor red” (it is not case sensitive, so you can use any case). Once you have changed the filename, just double click on the application again, and it will set desktop background to that color. Quite interesting; isn’t it? Do note that the filename needs to start with “lonecolor”, otherwise it won’t work. Apart from specifying the name, you can also specify color using RGB codes. 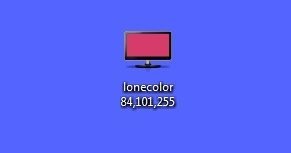 For example, RGB code for a shade of Blue is: 84, 101, 255. You can just directly add this string to filename and double click on it to set background color accordingly. You can also specify color in Hex code form (starting with “#”). Note: This software does not throws any error messages. So, even after double clicking on it the color didn’t change, that means you did something wrong. Probably with the filename. Lonecolor is a very interesting software, though it might not be very useful. However, the way it accepts color choices from users is quite innovative. Personally, I would have also preferred to see an option in which it provides some sort of color picker from which you could choose color of your choice to set as desktop background. But I guess that would have taken away the uniqueness of this software. Nevertheless, this software works very well, is small sized, and nicely thought of.